Hey everyone! First off- I gotta say, I'm AMAZED by the response to my latest video on the MAC eyeshadow dupes. I am so thankful for all the nice, appreciative feedback. Thanks for taking the time to watch that video, and if you haven't seen it yet, CLICK HERE! This blog is sort of a follow-up to a review/tutorial video (Reviewtorial, baby!) on the Maybelline Color Explosion palette in Forest Fury (green). I was really impressed with the pigmentation of that palette- (shown below on the left), and compared the texture and color in that palette to the Lancome Colour Design palettes that also have lots of rich colors. I said I wanted to pick up more of these, and apparently lots of other people did too (slim pickins at the local Wal-Mart!) But there was ONE left in the shade I really wanted to try- Caffeine Rush. (Note: I did not experience any caffeine-like effects after using this eyeshadow). The Caffeine Rush palette has the same shimmery/metallic textures (plus one super glittery shade, just like the green palette has). I LOVE the two deeper brownish taupe shades... you can just put one on your lid, all the way through your crease and it'll catch the light and POP on your lid, but look more shadowed in the crease... it's gorgeous. I must take a picture next time I use it! The lighter shades are lovely as well for blending and highlighting the brow bone or inner corner. I'm so glad my sister's cat Bun is doing better after being hospitalized over the weekend! She's had some health issues, but is now back home! Cupcake is looking adorable on her stack of blankets. I've been making iced tea using my Keurig... the half & half black tea & lemonade mix is awesome!! I had Quiznos last night & once again fell in love with the Chipotle Turkey Sammie. In that odd stage where my nail polish hasn't exactly chipped off, but it doesn't look nice & fresh anymore. Enjoy with chips, crackers, on a sandwich, on nachos, or just as a side dish on its own! Hope you're having a good day, gorgeous!! 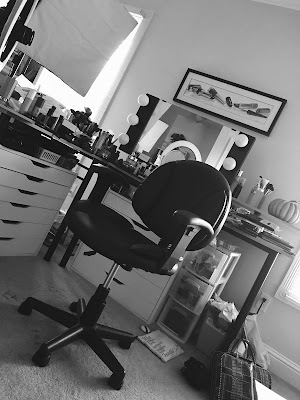 I think ur an awesome make up guru :) I enjoy watching ur videos so much. I love it "There's no picture I ate it all"! Must have been delicious. I love watching your videos Emily, very informative, detailed, and precise. I'm especially appreciative of your "dupe" videos as I am not a fan oh paying extreme amounts for makeup. Plz keep them coming, thank you. I'm always down to try some new neutral palettes. My poor wee elf Butternut quad is getting rather played out. Also, anything Quiznos chipotle sauce goes on is complete win. I like getting the veggie sammie with chipotle sauce instead of the italian vinagrette. NOM! Thank you for posting! I am all about neutrals and I think I might just have to get that palette. Your video on the MAC dupes was awesome! SO helpful, as always! Thank you for that! I'll try to find these eye shadows in Croatia, we just don't get the same stuff you do in the US. I am wearing pink punch today. very pretty, but i do agree that the shape of the dark color is hard b/c my crease brush picks up the surrounding colors. Nice, I think I'll try caffiene rush. You are an amazing guru! Maybelline Color Explosion palettes look gorgeous i wanna try them out soon!! i LOVE all of these soooooo much, great colors. and you have such a wonderful blog and it is full of so much inspiration! if you get the chance to check out mine, i would love to see what your opinions are on it! i also think that you might like my most recent post, it's a super easy super cute nail polish idea. check it out! Just bought this yesterday, and the colors are beautiful. Thank you for reviewing these! Also, can you PLEASE find a dupe for Maybelline Mousse Concealer since they are discontinued. My mom borrowed mine and fell in love with it. When we went to get her one they didn't have it anymore, and it was one of my favorite too. A cheap version would be appreciated, but if not we are willing to pay for any version. 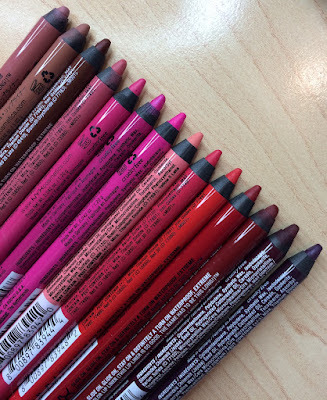 I came to you because I know you're always willing to find dupes for makeup. Thanks for another great review!!! I use a lablebaby to mark all the dupes on the lids! This was perfect timing sinc my shroom and cork were hitting the pan! I just love dupes. oh my!! this is so great!